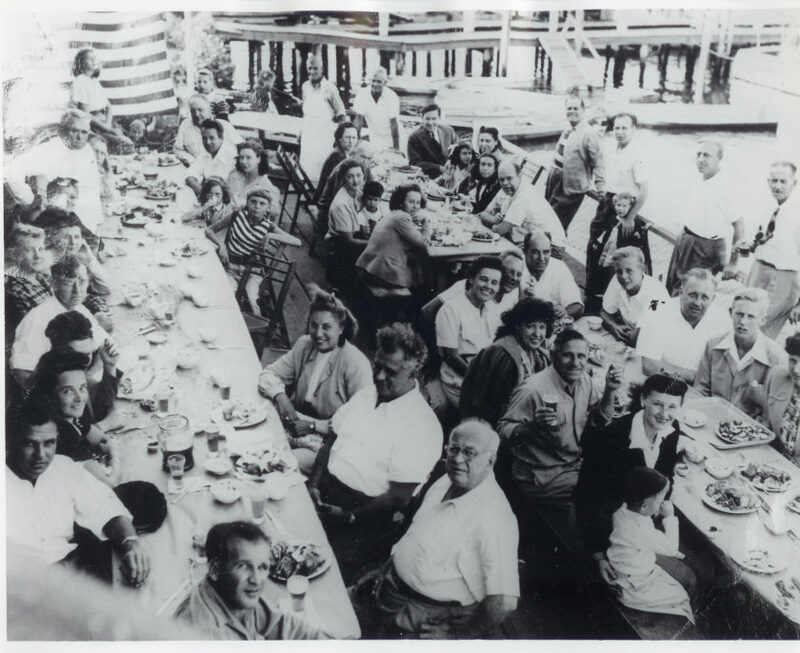 Clam Chowder is on the Bahrs Landing menu in 1929 but there was not an indication as to whether it is red tomato based or if it is milk based. Chowders in this area were typically the Down East type, that is, made of whole clams and the clam juice, with a dash of potato for flavor, although the customer who asked for milk or cream in his chowder may have had it. People that lived in Maine said “no” to tomato in chowder. People in Manhattan said “yes” to tomato and for years the name Coney Island Chowder stuck, until, someone decided that Manhattan Clam Chowder sounded better and then that name stuck for tomato based clam chowder. 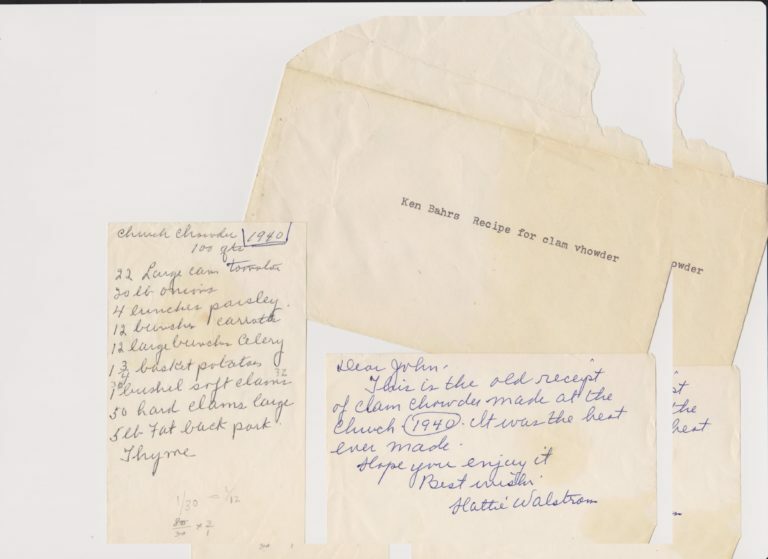 We found a note containing a recipe for Church Chowder 1940 from Hattie Walstrom to Ken Bahrs(envelope address typed to Ken although note is addressed to John). Hattie was an active member of the Highlands Methodist Church, as were the Bahrs family. Hattie was so regarded that she was known to take the pulpit when the reverend was out of town. In the recipe, Hattie declares that this Church Chowder was the best ever made! For the 100 quarts of chowder it requires 22 large cans of tomato and calls for both soft shell and hard shell clams.